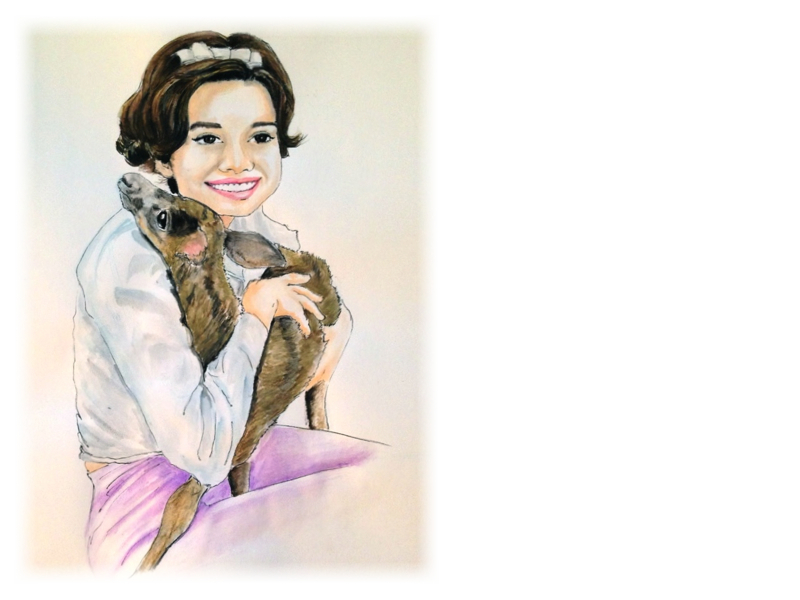 I found out that Audrey Hepburn had a fawn as a pet name Pippin. Kind of reminds me of Newton for some reason, perhaps it's the long legs. I mostly used watercolor pencils for this one. They are fun to play with and I slowly getting the hang of them.